Greta Gerwig’s directorial debut “Lady Bird” proves to be a great start, as it boasts excellent performances from Saoirse Ronan, and Laurie Metcalf to name a few. As briefly touched upon earlier, Gerwig’s directing with “Lady Bird” is a breathtaking start. She has been an actress in numerous films including “20th Century Women” (2016), and “Jackie” (2016), but not until this film has she directed a film. After seeing “Lady Bird,” I honestly cannot wait to see what is up Gerwig’s sleeve next. Saoirse Ronan, who portrays the titular character is the real standout amongst the incredibly talented cast. Her performance here is so real, that I honestly forgot I was watching Ronan portray a character. 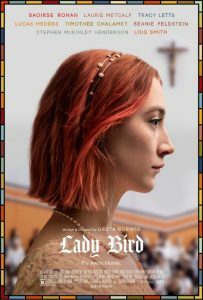 I have seen several Ronan’s performances in several films such as “Hanna” (2011), “The Grand Budapest Hotel” (2014), and “Brooklyn” (2015), but this year’s “Lady Bird” proves to be her breakout performance. 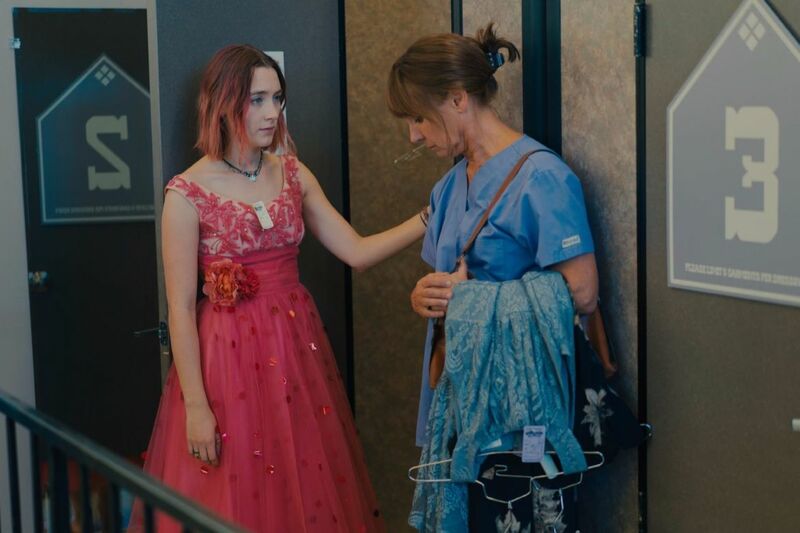 That’s another thing I adore about “Lady Bird.” There’s a great relationship between mother and daughter throughout the course of this motion picture. 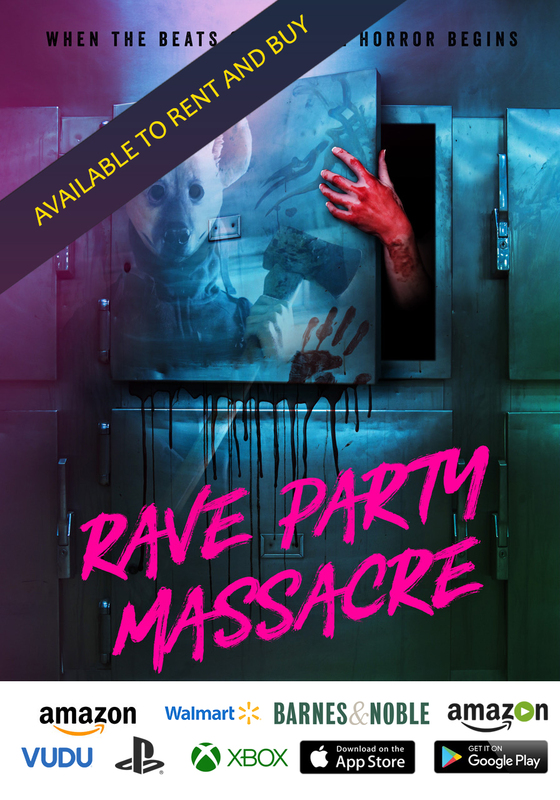 Unfortunately, delving into it would potentially reveal some spoilers, so it would be best for me to leave that there. The theme of “Lady Bird” is pleasantly happy. Gerwig smartly decides to not make her film beyond depressing, whereas some filmmakers would have. It all feels incredibly happy, and, to me, it comes across as one of the most delightful coming-of-age films I have ever seen. That is not a bad thing, either. “Lady Bird” also has a satisfying musical score by Jon Brion, and truly immaculate cinematography by Sam Levy. Greta Gerwig proves herself to be a phenomenal director with “Lady Bird.” It’s a film that feels extremely delightful, but when it needs to be, it has some truly great emotional scenes. On top of all this, the performances from Saoirse Ronan and Laurie Metcalf are definitely deserving of the Best Actress in a Leading Role, and Best Actress in a Supporting Role, respectively. Plus, yes, the film absolutely deserves to be nominated for Best Picture.